For many centuries the Maasai tribe have dominated southern Kenya and the northern regions of Tanzania. They’re the most well-known tribe in all of Kenya, mainly due to their location around the famous game reserves and popular lakes. During my recent trip to the Kenya, the lovely team at Losokwan Camp showed me a small slice of Maasai culture by taking me to a local Maasai village. We learnt about the connection between this tribe and their surroundings and the strong relationship they have with nature. Learning about other ways of living is incredibly important, and this is one that certainly didn’t disappoint. I don’t think I’ve ever experienced a culture that was so unique and unlike my own… And now I’m here to tell you all about it! Even in the capital city of Nairobi, Maasai people are constantly seen; the traditional dress of red and black (and sometimes blue) checkered cloth for men and colourful beaded jewellery for women is very easily spotted. 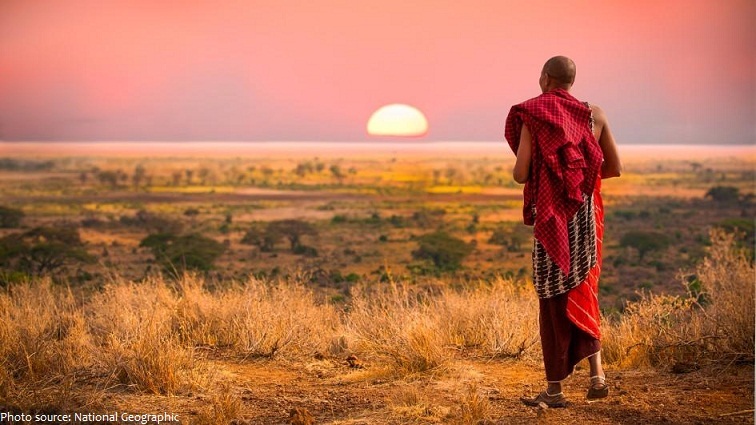 Although the Maasai is far from the largest tribe in Kenya, it’s the most well-known due to their populated location in the most visited areas. When we finally arrived in the national reserve, the number of Maasai was expectedly high. The red, vibrant outfits could be seen for miles across the distant plains, making us realise we were in a whole nother world of culture. 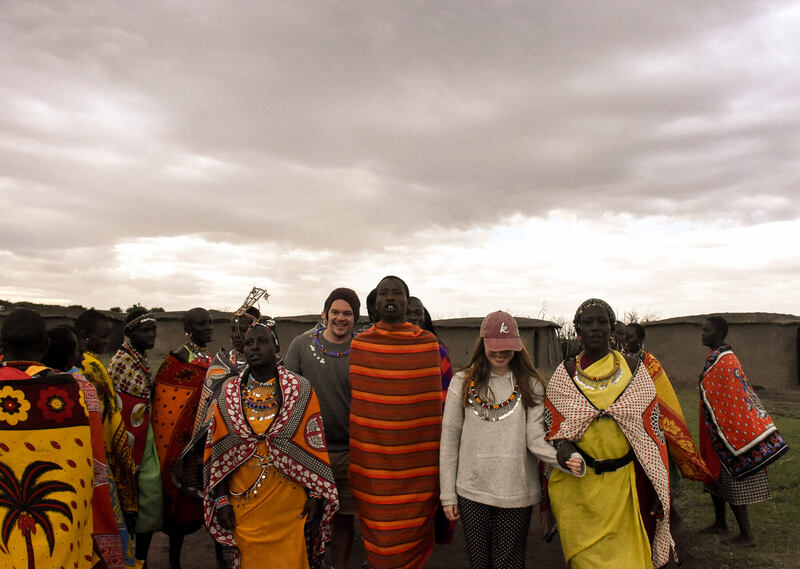 Only a few minutes from our camp in Lemek Conservancy was a local Maasai village in which we were kindly welcomed. On immediate arrival, the Maasai came out with a traditional song and dance to truly welcome us. We were escorted into the village whilst participating in the ceremony and getting to witness this incredibly foreign method of celebration. This beautiful dance was differentiated by men and women – as is a lot of their culture. During this ceremony, the women participate by forming a circle and using their voice to create rhythm and movement. The men chant, dance and create sounds by using only their voice – The sounds they created were deep, unique and truly mesmerising. 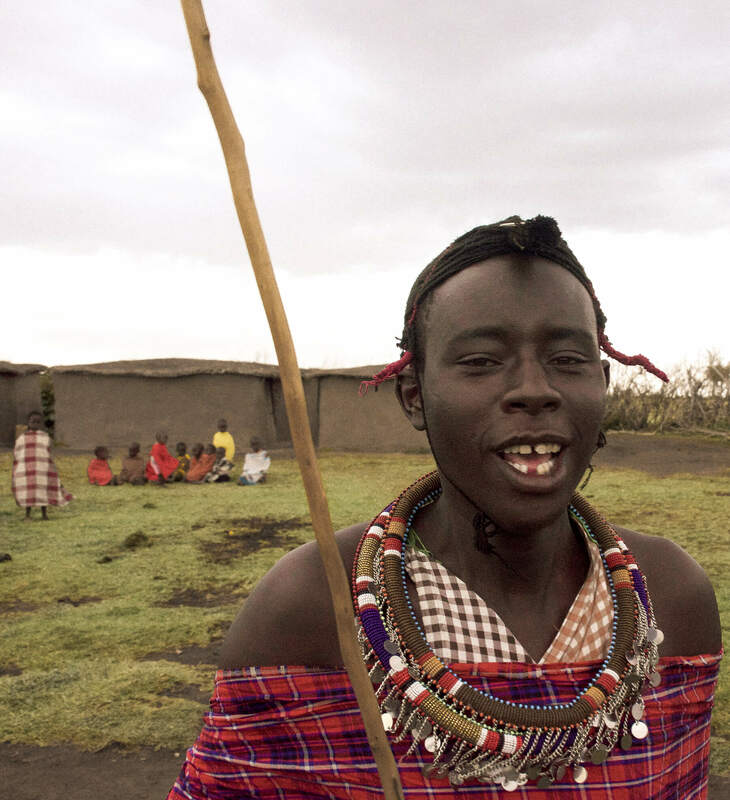 As I clearly discovered on this young Maasai, the removal of the canine teeth is actually a rural practice that takes place in early childhood. 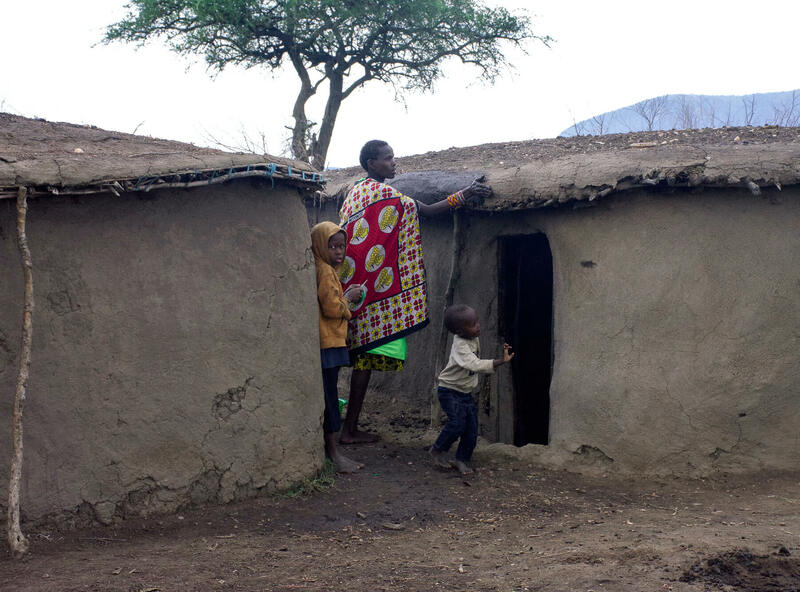 It is strongly believed by the Maasai that diarrhoea, vomiting and other fever-like illnesses of early childhood are caused by swelling over the canine region. 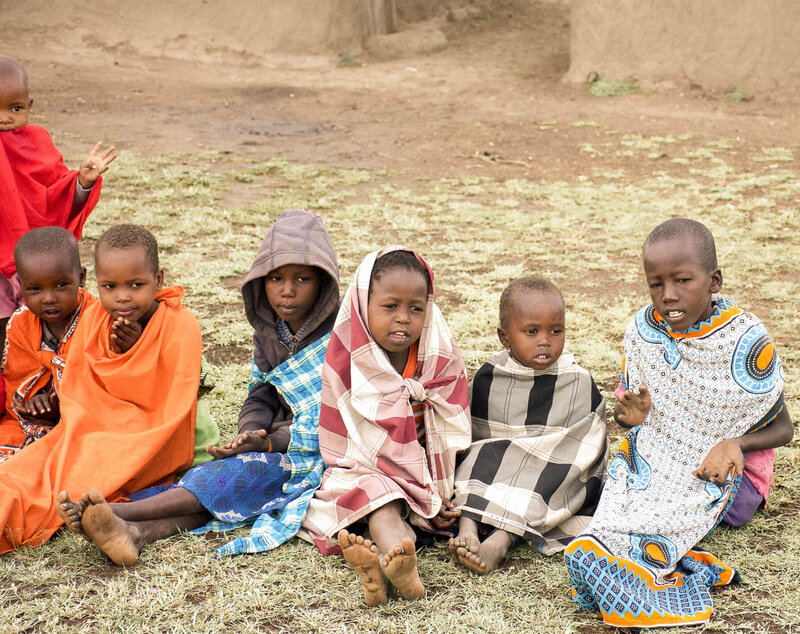 Because of this, the canine tooth buds are often removed by middle-aged Maasai women when the child is under 2 years of age. I noticed that some of the people in this village had their middle teeth removed. This is also a traditional practice used to make space for feeding in an event of diseases locking the jaw. Unbelievable right? Anyway, after the initial welcoming ceremony was performed, the men then continued to take part in a traditional dance called Adamu. Most commonly referred to as “the jumping dance”, this tradition takes place once a young Maasai has transitioned into a warrior. 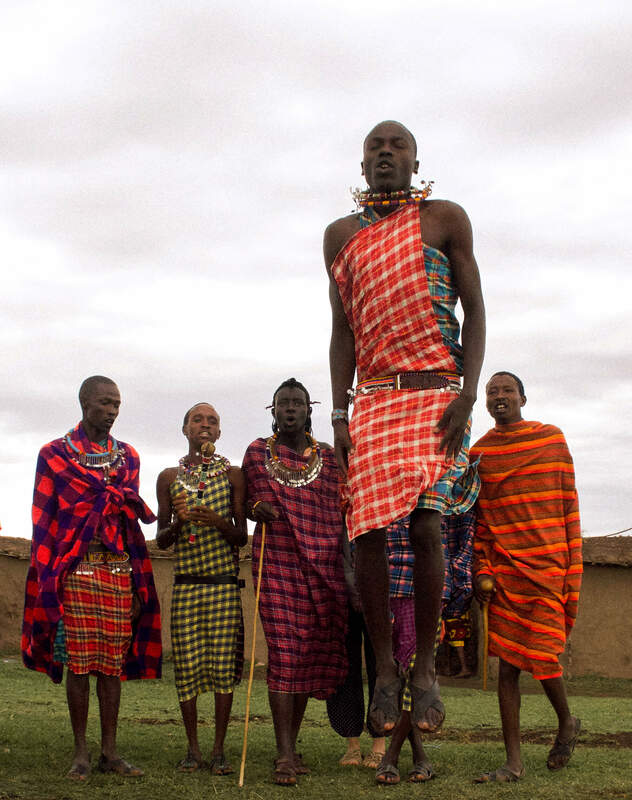 Each of the Maasai men demonstrates their strength and perseverance by jumping as high as possible in order to impress their future bride – A sort of mating dance you could say. The Maasai with the highest jump ultimately wins the woman! But as these men were not trying to impress any women at the time of our visit, our show was simply a generous demonstration so that we could truly experience this renowned cultural dance. We had the ability to join in and test our skills at jumping, and let me tell you… It’s not as easy as it looks! We had the chance to watch the many young children sing us a welcoming song – they joined in with the Adamu on the sidelines; practising their jumps and enjoying being wild and free. 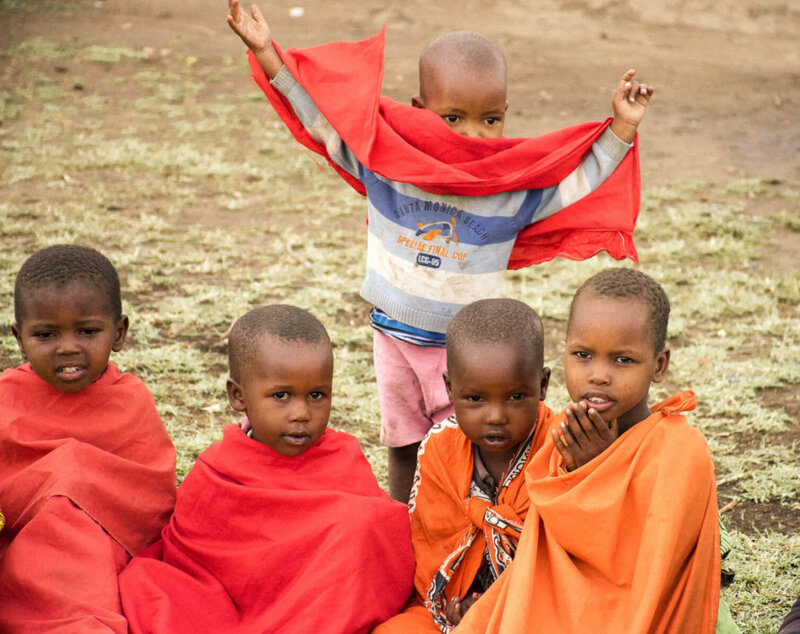 The children either go to school in a nearby town or are taught about their practices by a Maasai in their own village. It ultimately depends on their location… After all, the Maasai are semi-nomadic; they change their location depending on the grass for their livestock and will rebuild their entire village accordingly. 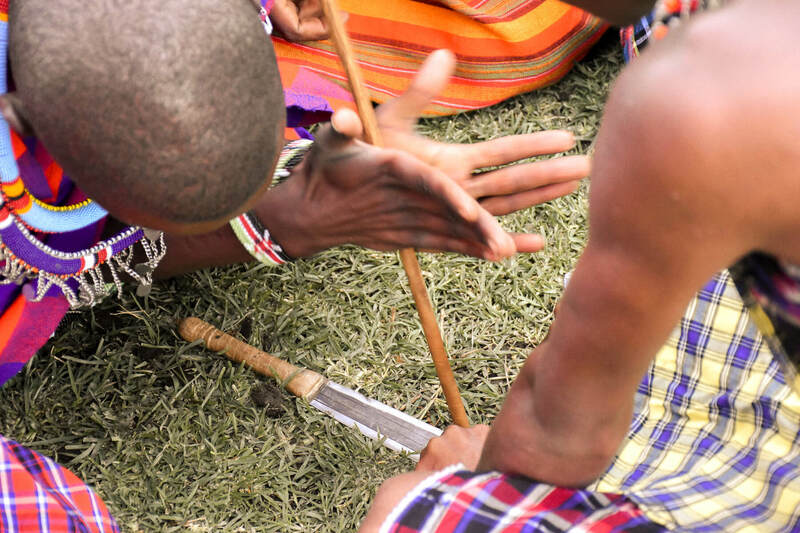 As for how they keep themselves warm and cook their food… The Maasai use a hand-carved wooden stick and rub it onto the end of a knife. Once the friction is caused by the blade and ashes begin to form, they transfer them to a pile of dry elephant dung (or dried grass if there’s a poo shortage) which ignites the flame! It was a very quick process and the results were pretty incredible – their homemade matchbox, as they like to say. After watching these amazing demonstrations, we were then taken inside the homes. 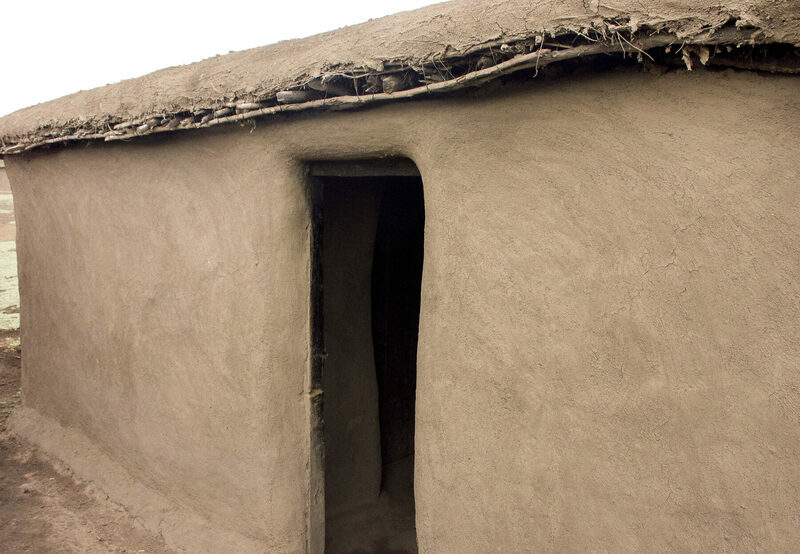 These huts are created with a mixture of cow dung and mud, with sticks used to thatch the roof. Each hut is created with the exact same layout; a sitting room/kitchen in the centre with 2 identical beds on either side. There’s a small opening above the kitchen to allow light and smoke ventilation, and a small fire pit in the centre of the sitting room to light up the house during the night. The 2 beds are split between men and women, both created by cow skin. 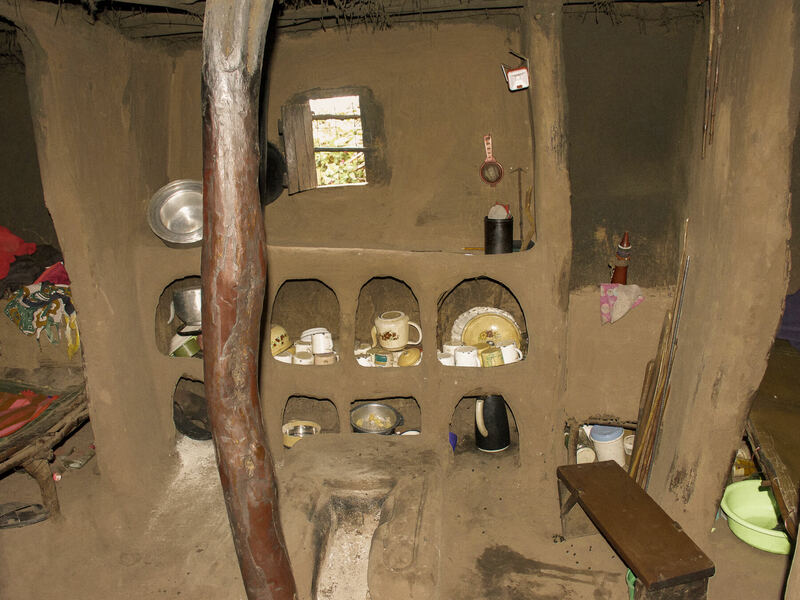 The image below is the chiefs house in which he kindly invited us into – even whilst he was sleeping in it. Their daily meals (or drinks you could say) consist of water and a mixture of milk and blood. This is done by spearing the flesh of one of their cows with a very unique spear – they let the blood drain from the cow and mix it with milk before placing it into one of their unique hand-made bottles (pictured above to the left of the kitchen – that looks a bit like a sauce bottle). I was assured that during this process the animals are not harmed, and that it’s very similar to a westernized human getting a blood test… In a much more remote way! Every time the process is made, they alternate the cow in which they draw the blood from to ensure that no harm is endured. The Maasai eat raw meat, and occasionally fruit and vegetables too. Although it is only when special ceremonies arise that they will slaughter their livestock. The thing that I loved about the Maasai culture though, is that poaching or killing of wildlife is completely against their belief. They will only kill and eat the livestock that they raise, going far enough that they won’t even eat fish. In recent years, the Maasai people have developed a stronger love for wildlife and will do their best to protect them. They would once kill a lion in order to show their strength, but now conserving their natural environment is something that’s very important to them. As I mentioned earlier, men and women have very different roles. Women are responsible for building and maintaining their houses – they fetch the water, collect the firewood, milk the cattle, raise the children and cook and clean for their families. Men, on the other hand, have different responsibilities depending on their age. Young Maasai’s herd the cattle whilst the warriors are responsible for protecting the community and wandering the Maasai plains in search of new land. The elders have a much stronger role in making political decisions. It’s important to also add that both men and women still undergo circumcision as a right of passage. 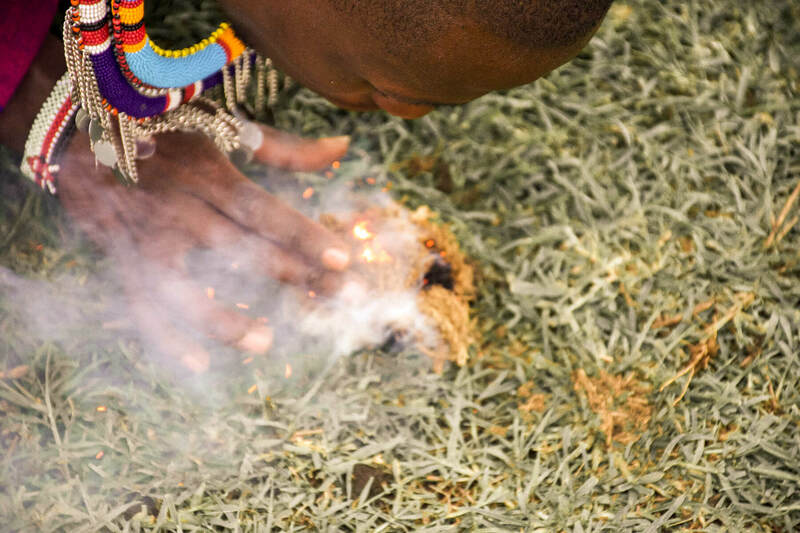 As with a lot of these traditions, I can’t possibly speak for all Maasai people in saying that they are always practised. It is also from my understanding that female circumcision is banned upon some legislations. But hey! This is just what I had learnt, so I’ll leave you to make your own decision on that one. The one thing that I can confirm, however, is that Maasai villages are always situated in a circle; with the houses around the outside and a large fence made of sticks in order to protect their livestock. The cows are taken out to graze during the day and brought back to the middle of the village at night in order to keep them safe. 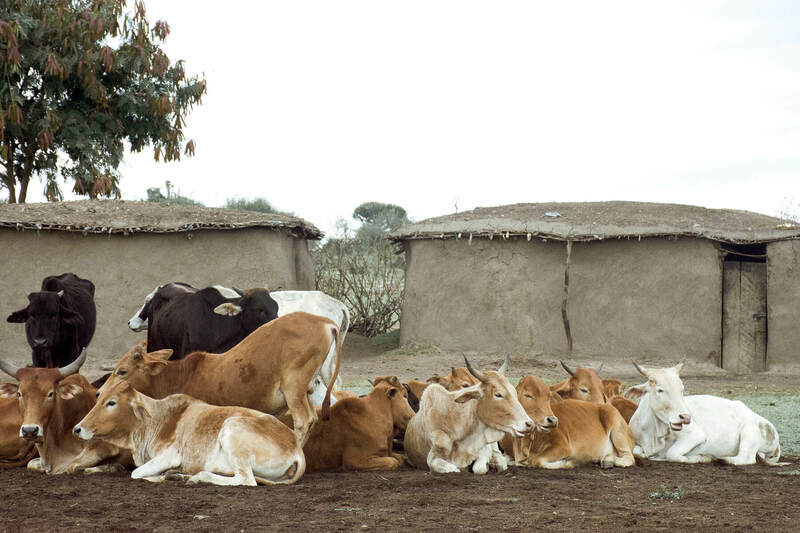 The Maasai believe that God created cattle purely for them, so their wellbeing is always a priority. 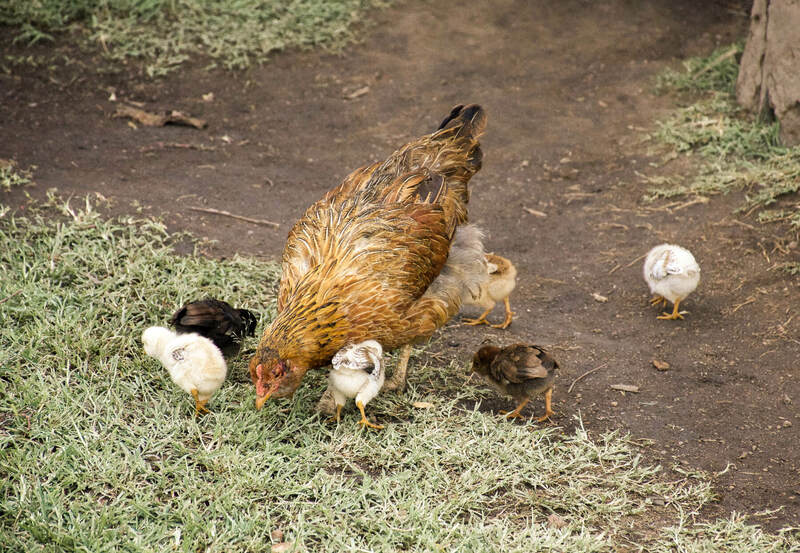 As for the smaller animals, there is a small room at the front of every house where the chickens and goats are kept for protection. Because Maasai villages are often situated amongst some very viscous, hungry animals, their stock can be a very easy target. Protecting the animals is the villages best interest as they are their major, and sometimes only food source. As I’m sure you’ve probably already assumed, there are no bathrooms in the Maasai village… Instead of having flushing toilets, they like to say that they mark their territory instead. And as there’s no toilet paper, leaves are used to wipe up as a substitute. In order to really clean themselves, the Maasai trek to the nearest river to bathe (whilst dodging the hippos and crocodiles of course) or will use the water that is supplied by the women in the village. 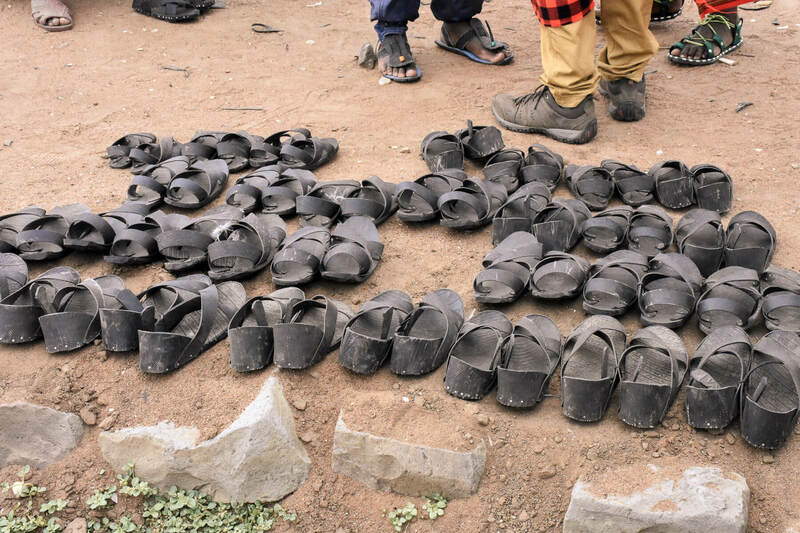 For those long, strenuous trecks, the traditional footwear that is worn is a sandal made from tyres. 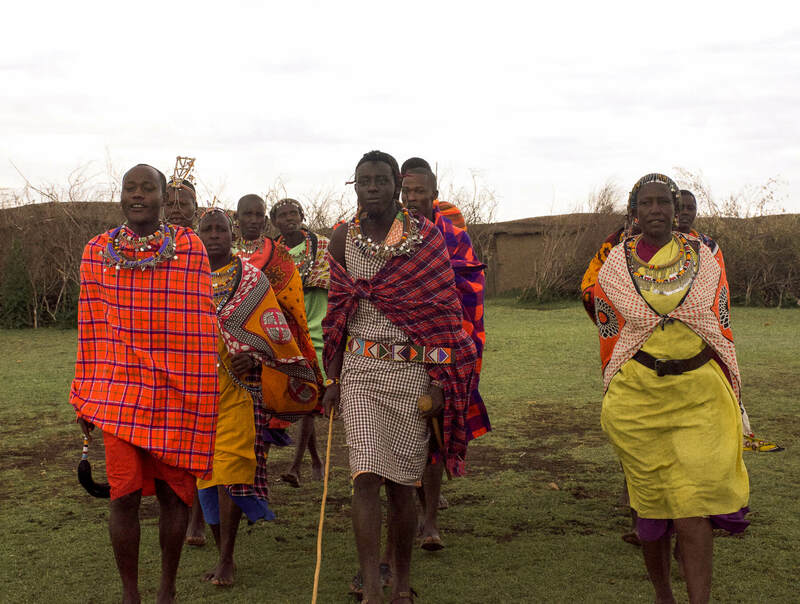 The village that I was lucky enough to visit was nearby to a large, Maasai town – Aitong. 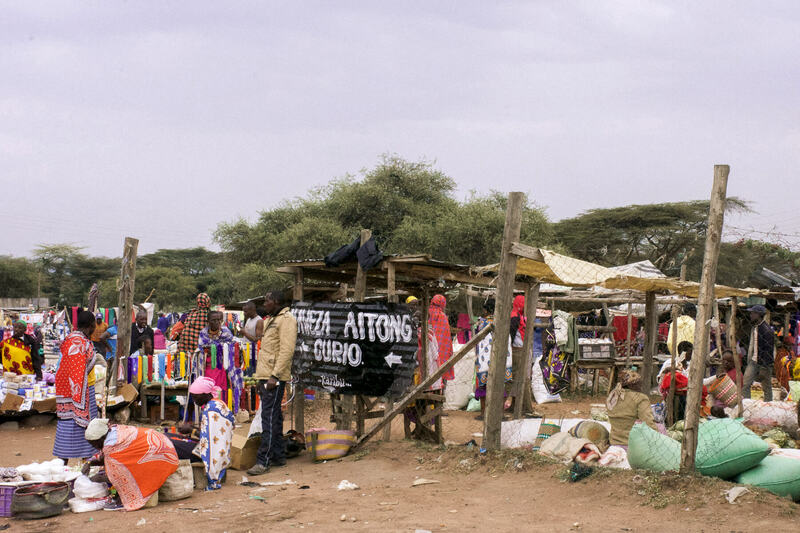 Here, people come from afar to buy and sell products to use in their villages or to sell to visitors. The traditional blankets, beads, shoes and headwear are all sold here, and we were lucky enough to see a local man making these sturdy shoes with nothing more than some old tyre and a few small nails. It is said that they last for years and years on end, which is pretty impressive considering the vast distances these tribes can sometimes travel. Fruit, vegetables and other essential items are also sold at the Aitong market, with a lot also being sold to the local tourist camps. 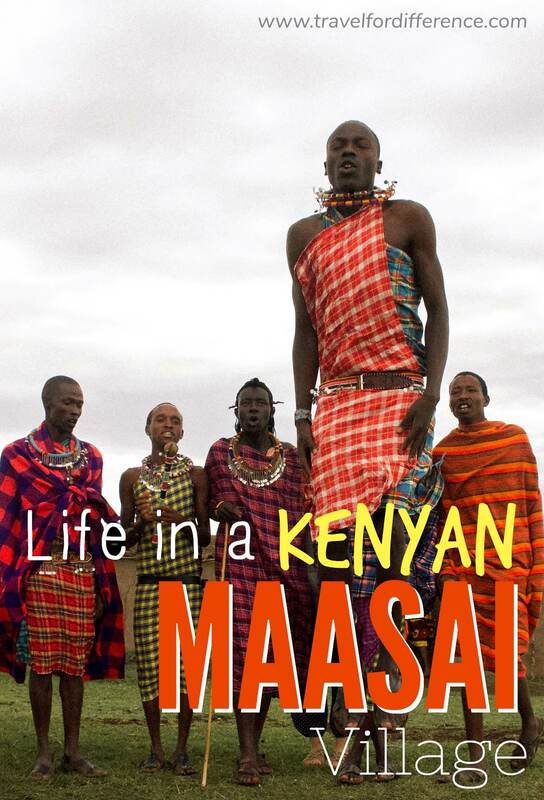 So as I’m sure you’ve discovered for yourself, the Maasai culture is one that is truly unique. Even though there may have been some things that concerned or disheartened you (as I can assure they did for me), it’s important to remember that this tribe has existed for many, many centuries. They’re making do with what they have, in the hard conditions they often live in. When I left this village, you could say that my eyes were a little more open; the cultural differences between the Maasai and myself were so distant that it was almost hard to find any similarities. It made me feel lucky, privileged and incredibly grateful to for all that I have, and all of the wonderful people I’ve met. I felt lucky to have met such kind, welcoming and heart-warming people in such a beautiful, fascinating place. Remember to love and appreciate our differences – Diversity is a beautiful thing! Amazing culture,it is fascinating how the maasais have hold onto their culture for so many years.By the way,they do not eat fish also because they believe that their scales look like a snakes’s skin.We are glad you got to experience this unique culture first-hand. Wow that’s so fascinating! It sure is a beautiful culture, I feel very privileged to have been able to experience it for myself. Such kind-hearted people too! Wow that looks like an unforgettable experience. Something I wanna do myself as well. It’s so interesting that their sandals are made from tires!! What a fascinating experience. They seemed to accept you with open arms, which is so kind! Their traditional dresses are quite colorful. I can’t believe they pull their teeth out because of diseases. Really opens your eyes and makes you appreciate how spoiled we are in America. Thank you for sharing this place with us. Their lives are so interesting. What an experience it must have been. Great post Kate. I am glad you are bringing us the places and people we did not know existed. I loved reading this article – what a fascinating experience it must have been. I didn’t realise that the jumping was a courtship contest!